Whether for a family celebration or a treat it can be a lovely idea to have afternoon tea in London with younger members of the family too. Some places may sound like a great idea for children, such as the Mad Hatter's Afternoon Tea at The Sanderson, but as they charge the same rate for children it's not really cost effective. Most venues charge a much-reduced rate for children. The following are kid-tested and approved. This lovely, light, bright venue next to Kensington Palace has a large outdoor terrace and plenty of space inside too. Highchairs are available for the youngest guests and everyone feels very special here with the excellent service and delicious treats. It can be hard for children to stay seated for a long time and fortunately there is space between the tables so children can stand up during the meal if needed. Named after the hotel's eponymous British Bulldog, there is a special '​Grover's Tea Time' for children which includes tropical fruit salad, ice-cream, and your very own cuddly Grover to take home. If you're worried about children sitting still long enough for you to enjoy the relaxed occasion, then this cruise along the River Thames is an excellent choice. It lasts under two hours and there's a discounted rate for children 5-12. You'll see many famous London landmarks such as Tower Bridge and the Houses of Parliament so you'll have plenty to talk about. 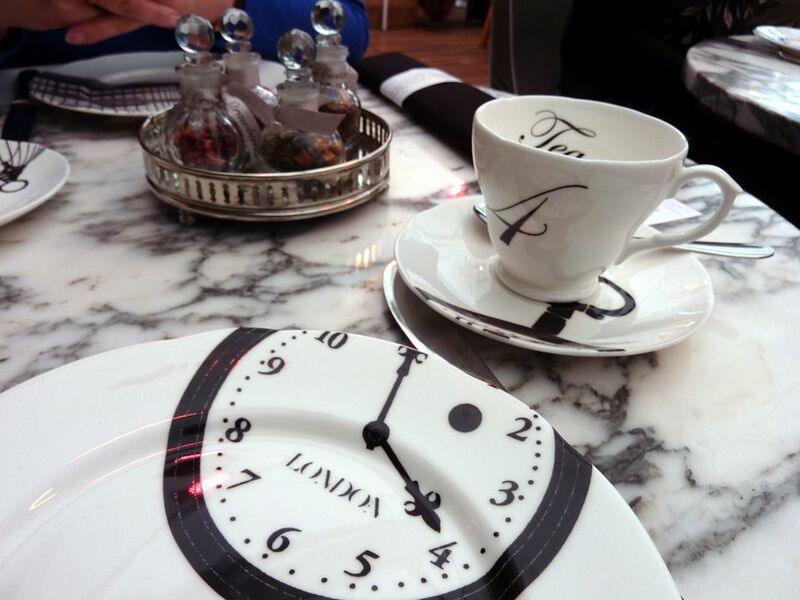 This is a lovely Alice in Wonderland themed afternoon tea, and there are amazing views across The River Thames to The O2, making it worth leaving central London and heading to Canary Wharf. 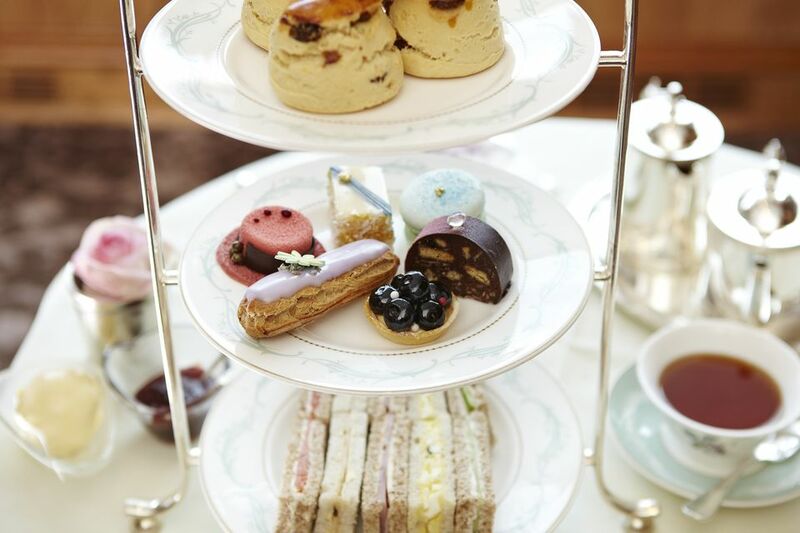 This 5-star hotel offers a special afternoon tea for "little ladies and gents". Children get the essential sandwiches, scones, and cakes but it's made a bit more fun for them and they get an activity pack too so they won't want to rush away after eating. At half the price of the full traditional afternoon tea, Egerton House Hotel has a 'Little Prince and Princess Tea' for children under 12 years old. They still receive a three-tiered cake stand with finger sandwiches, freshly baked scones, and mini cakes plus hot chocolate (instead of tea). This is a Red Carnation hotel, and they really do choose their staff well, as the service is always good and they make all of the family feel at home. There is a 'Little Prince and Princess Tea' available here too, but this time there are peanut butter and jam sandwiches, as well as scones, cupcakes, and a milkshake or hot chocolate. The Tea Terrace is on the top floor of the House of Fraser department store on Oxford Street feels like a delightfully quirky English tea room. In a city that adores coffee these days, it's lovely to find a tea room that's modern and serves a great choice of the nation's favorite beverage. The Milestone in Kensington is a Red Carnation hotel in London, so you know it's going to be a good choice for families. Under 12s can enjoy the 'Little Prince and Princess Tea' with a selection of finger sandwiches, freshly baked scones with Devonshire clotted cream, preserves, French pastries, and hot chocolate.